Augmented reality and virtual reality headsets are on the cutting edge of technology these days, with companies like Microsoft, Google and Facebook all vying to get to market with headsets that can augment reality or transport users into a virtual world. One of the problems with the current suite of headsets both on the market or coming soon is that they're only crudely able to track where a user is looking. Microsoft's Hololens, for example, can track users' gazes by where their heads are looking, but it can't tell where their eyes are focused within their field of view. That's where a new company called Eyefluence enters the picture. It makes eye tracking modules that can be as small as a pinkie nail and figure out where people are looking. 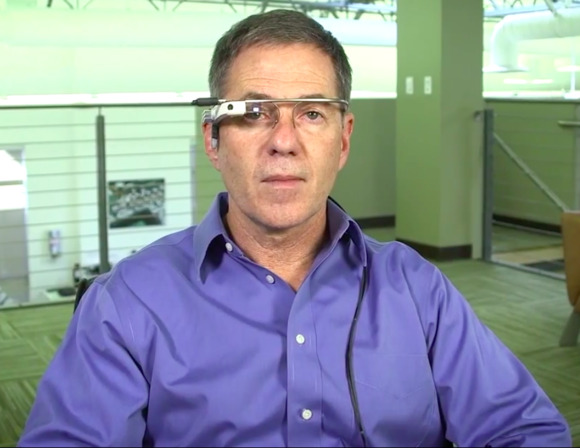 In an interview, cofounder and CEO Jim Marggraff claimed that Eyefluence's tracking technology understands the intent behind a person's gaze, without requiring them to blink or stare at a particular location for a long period of time like the dominant eye tracking and interaction systems currently being sold and used today. That technology can be used in a variety of different applications. Businesses could see it help with smart safety checklists for maintenance workers wearing augmented reality headgear. Rather than having to mark off a paper checklist, workers could complete inspection items by looking at things like the position of valves. Meanwhile, virtual reality game developers could use the technology to create computer-controlled characters that relate to players based on where they're looking. That way, characters who would ordinarily stare blankly (or where they thought the user's eyes were) will be able to actually meet and track a player's gaze. Eyefluence isn't building headsets itself. Instead, the company contracts with partners to build its eye interaction technology into their headsets. Marggraff declined to name which firms his company is working with, but said that Eyefluence's list of customers include businesses among the top 100 of the Fortune 500 and smaller startups. Ultimately, he thinks that Eyefluence's tech is so key for creating a good experience in an augmented or virtual reality headset that companies will need to incorporate it. "We believe that [head-mounted displays] are incomplete without eye interaction. And as well, we believe that the ease of use and the power is a tipping point item in the headsets," Marggraff said. "If the headsets are too difficult to use, then consumers are going to push back and this is not going to fly. But we know that the impact that we have on the user experience is extraordinary." It remains to be seen whether Eyefluence's tech can live up to Marggraff's claims, but his track record would point to the company having better chances than most at following through. He's a serial inventor who had a hand in products like the Leap Pad and Livescribe pen. Eyefluence has the backing of some big names, too, with Intel Capital, Jazz Ventures and others participating in the firm's two rounds of funding. The company expects to start showing off its technology early next year, so people will get a chance to examine how it works for themselves soon.